:Featuring duet with Phil KeaggySammy Horner with this latest project has delivered his best album to date. A collection of wonderfully crafted songs gathered from near and far and very tastefully recorded in Nashville with long time friend Phil Madeira. Feel the warmth and spirit of a Celtic ragamuffin heart in these recordings and be ?Inspired to Worship? Of special interest, the unusual communion, Lords Supper or Breaking of Bread song - Take this Bread. Recommended. 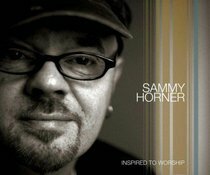 Sammy Horner is a full-time children's evangelist and established musician. His wealth of experience in mission work and training has enabled him to communicate with honesty, humour and relevance. He is currently working with Care and Communication Concern, teaching, 'Lessons for life' Seminars.